Is it just me or do these things happen to everyone? Strange encounters that poke you in the chest and make you take notice. Maybe it’s the new norm, but if that’s the case, how did we get here? Now that BK is going to be a bonafide Pennsylvania resident, there are administrative Ts that need crossed. He scored a driver's license but the illusive plates will have to wait for a subsequent visit to the tag & title vendor. What would a PennDOT (Pennsylvania Department of Transportation – even their name takes forever, couldn’t have a nice succinct MVA, DMV?) requirement be without multiple visits to get it accomplished. Took me three times (40 minute drive) to get my license. Don’t ask. The establishment that set the stage for this particular tale of whoa, a tag and title storefront that does a little bit of everything involving paperwork for the state of PA, has a cartoon poster on the wall of a woman teaching a PennDOT class of counter assistants. She’s yelling, “You don’t have the right paperwork” with the caption instructing them on how to greet their customers. Good ole PA, at least they know how to laugh at themselves. Our visit was no different, we didn’t have the right paperwork. Our title still had a bank address on it, even though we paid the car off years ago. After multiple phone calls to secure faxed proof, we were still there an hour later. (It never happened, their fax machine refused to help us.) A lot can happen in an hour. Unlike the bellowing cartoon figure, our clerk couldn’t have been nicer. Young, adorable, and man did she know her job; cared for a cadre of confused customers like a proficient barista at the world’s busiest Starbucks. And she handled it all with a calm that soothed the annoyed, paperwork challenged beasts. One woman, the subject of our story, was sent away in need of tax documents. She was a calm and pleasant person too, unlike a few others who popped in and out. While standing at the counter, filling out additional paperwork, she walked up next to me and said she needed to get the documents of ownership on her home changed to her name, her husband had died two weeks earlier. My heart broke for her. We got into a conversation about how endless all the paperwork is with such a loss. At some point in the exchange, told her I was sorry for her loss. What followed was mind-boggling. She said, with utter conviction, “I’m not, he killed himself, I’m mad.” As, no doubt, the need to unload such events is therapy, she proceeded to tell the story. She and her husband got into a fight, he eventually grabbed his gun, pointed it at her and announced he was going to kill her. Conceiving what he figured was a more cruel option, he said, “No, I’m going to kill myself and make you watch.” He then shot himself in the head. What made the story even more poignant was her question when asked for a photo ID, she wanted to know if she could use her permit-to-carry. The photo was so much better than her driver’s license. As a military brat, I’m not opposed to the 2nd Amendment. My Dad had a full and locked gun case in our basement, most of them were collector pieces, all of them were functional. But they stayed locked in the case, he never felt the need to wield any of them. Realized after he passed, while helping my Mom clean out his stuff, he had a pistol in his nightstand drawer too. We never knew. That gun never made an appearance, it was there for safety only, he understood the fundamental purpose of the 2nd Amendment. Personally, I want nothing to do with them, believe in the adage, live by the gun, die by the gun. Our fresh widow can verify that axiom. Just wondering how we got here. Not to be puny, but who’s calling the shots? Do our lives dictate politics or does politics dictate our lives. 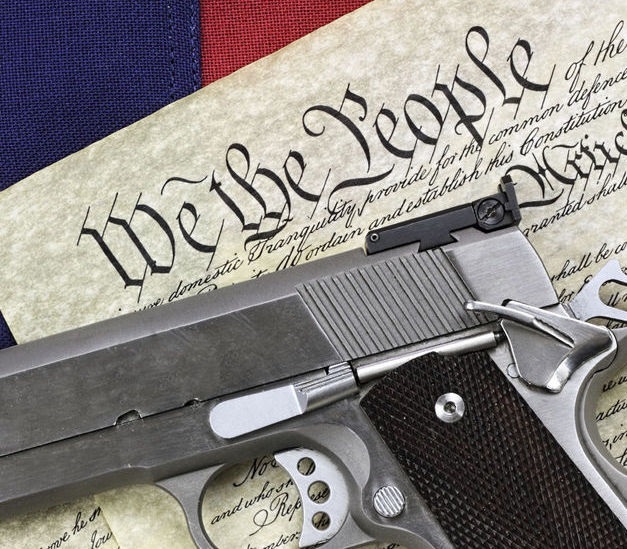 How has gun ownership and the right-to-carry become the battle cry of our country? The statistics of gun homicide rates in the U.S. compared to every other developed country are obscene, more than double the next lowest country. We also hold the distinction of being the world leader in mass shootings, by a long shot. No other country even comes close. We should be ashamed of ourselves. There is no denying it, our political system has been hijacked, and we’ve allowed it to happen. The 2nd Amendment has become a weapon of mass destruction. Can imagine how the scenario would have changed if our battling widow and her husband didn’t have guns within reach. An argument would have been just that, instead of a funeral and a bitter legacy. Wonder what our country’s legacy will be, guess it depends on who calls the shots.